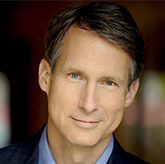 Since his first Broadway appearance in Harold Prince's production of Evita, Gregg Edelman (Voltaire, Dr. Pangloss, Host, Sage, Governor) has gone on to star in such Broadway productions as City of Angels, 1776, Into The Woods, Anything Goes, Falsettos, Wonderful Town, and Cabaret. 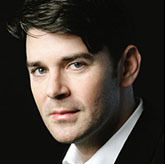 He has earned four Tony Award nominations as well as numerous other honors, including the Drama Desk Award. His recent acting credits include Death Trap, The Mystery Of Edwin Drood, Gurney's Black Tie, Sweeney Todd, and 12 Angry Men. His directing credits include Constellations, the new musical Night without A Moon, and a new play entitled Family and Other Drugs. Film credits include Little Children, Jane Wants a Boyfriend, Spiderman 2, Crimes and Misdemeanors, Liberal Arts, and Green Card. His numerous television appearances include 30 Rock, Shades of Blue, Brainstorm, Braindead, The Good Wife, all the Law and Order series, and no list would be complete without mentioning his time spent as the voice of the Peanut M&M. His concert work has given him the opportunity to appear with such orchestras as the New York, Boston, Philadelphia, and Chicago Pops, among many others. His seventeen recordings of Broadway shows include City of Angels, Wonderful Town, 1776, Into the Woods and On The Town, Cabaret, Anything Goes. 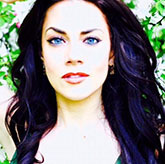 Hailed by the New York Times for her "attractive soprano voice", and by Broadway World for her “total control of the stage” Italian-American coloratura soprano, Meghan Picerno (Cunegonde), is quickly gaining recognition for her exciting performances on both opera and theater stages. 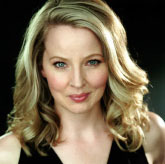 This past summer she performed La Fée in Massenet's Cendrillon with the Canadian Institute of Vocal Arts Festival in Montreal, performed on the Barcelona Opera Studio's summer concert series, sang with Joan Dornemann's International Vocal Arts Institute in New York City, and performed Queen of the Night in Mozart's ##Die Zauberflöte at Lincoln Center and Carnegie Hall. This Spring she made her Kennedy Center debut as the Sandman in Hansel and Gretel as well as her David Geffen Hall debut, and title role debut in Lucia Di Lammermoor##. She also made her debuts at Alice Tully Hall and The National Center of Performing Arts in Beijing, China as a young artist of I Sing Beijing, and in the fall performed Villa-Lobos' Bachianas Brasilieras in Pittsburgh. This past year she was a quarterfinalist in Placido Domingo's prestigious Operalia International Vocal Competition in London at The Royal Opera House, and received 1st prize in the Arkadi International and New York Lyric Opera's vocal competitions, The Forte International Competition; 2nd Prize in The American Prize Vocal Competition, and awards from the Alfredo Silipigni, Benjamin Matthews Competitions, and Career Bridges Grant Program. Other roles performed include Olympia/Les Contes d'Hoffmann, Le Feu, La Princesse, Le Rossignol/L'Enfant et les Sortilèges, Gilda/Rigoletto and Violetta/La Traviata. A noted interpreter of Mozart and bel canto repertoire as well as the world of many contemporary composers, Keith Phares (Maximilian) is regarded as one of his generation's most versatile artists. Engagements this season have included Hurstwood in the world premiere of Sister Carrie with Florentine Opera; and the Count in Le nozze di Figaro with Opera Saratoga. Other notable engagements have included Orin Mannon in Mourning Becomes Electra with Florida Grand Opera; Maximilian in Candide with São Paulo Symphony Orchestra; and Marcello in La bohème in his debut with Seattle Opera. For his debut with Florentine Opera, he portrayed the title role in Elmer Gantry, prompting Opera News to write "Keith Phares's scrupulously rendered Elmer Gantry appears a strong contender for iconographic recognition." Mr. Phares made his Houston Grand Opera debut in the world premiere of Heggie's Three Decembers; and his Metropolitan Opera debut, under the baton of James Levine, in the French triple-bill Parade. He has appeared as The Pilot in The Little Prince at New York City Opera and Boston Lyric Opera; and Sebastian in the North American premiere of Adès' The Tempest with the Santa Fe Opera. A graduate of the Juilliard Opera Center, he was a national winner of the 1998 Metropolitan Opera National Council Auditions. 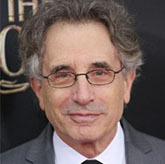 Chip Zien (2nd Recruiting Officer, Rich Jew, Judge, Man in Black, Cartagenian, Pirate, German Botanist, Guest) created the central roles of the Baker in Stephen Sondheim and James Lapine's award-winning Into the Woods and Mendel in William Finn's highly acclaimed Falsettos. Other Broadway credits include: It Shoulda Been You, The Big Knife, The People in the Picture, The Country Girl, Les Miserables, Grand Hotel, The Boys from Syracuse, Chitty Chitty Bang Bang, All Over Town, and The Suicide. Mr. Zien also starred in the La Jolla reworking of Merrily we Roll Along. 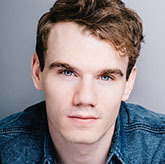 Off Broadway he has appeared in Isn't it Romantic and A New Brain for which he received Drama Desk nominations. His performances on television include roles in The Night Of; The Caroline Rhea Show; Almost Perfect; Now and Again; Deadline; Shell Game; and Love, Sidney as well as countless guest appearances. Mr. Zien was book writer for the new musical The History of War presented at The New York Musical Theater Festival. He also penned the book for Travels with my Discontent and his one-man show Death in Ashtabula both of which he performed at The Barrington Stage. 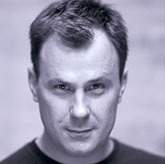 American stage actor Brooks Ashmanskas (Baron, Grand Inquisitor, Slave Driver, Captain, Guest) was nominated for both a Tony Award for Best Performance by a Featured Actor in a Musical and a Drama Desk Award for Outstanding Featured Actor in a Musical for his performance in Martin Short: Fame Becomes Me. In 2016, he was featured in the Broadway production of Shuffle Along. His previous Broadway credits include roles in Something Rotten; Bullets Over Broadway; Promises, Promises; Present Laughter; The Ritz; The Producers; Gypsy; Little Me; Dream, and How To Succeed in Business Without Really Trying. He has appeared in Off-Broadway productions of Wise Guys, Sunday in The Park with George, On A Clear Day You can See Forever, London Suite, Labor Day, Songs For A New World, It Changes Every Year, and Fit To Be Tied. He has toured in productions of Cinderella, and Noises Off, and has appeared in the Television series The Good Wife and Mr. Misher and the film Julie and Julia. Mr. Ashmanskas holds a Bachelor of Arts degree from Bennington College. 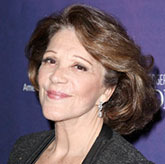 Linda Lavin (Old Lady) has won a Tony Award, as well as Drama Desk, Outer Critics' and Helen Hayes Award for her performance in Broadway Bound in 1987. She is a six-time Tony Award nominee for her roles in The Last of the Red Hot Lovers, The Diary of Anne Frank, The Tale of the Allergist's Wife, Collected Stories, and The Lyons. Earlier this year Lavin was seen in Our Mothers Brief Affair and received stellar reviews. Inducted into the Theatre Hall of Fame in 2011, her other theatre credits include The New Century, for which she won the Drama Desk Award; Other Desert Cities at Lincoln Center Theater, and Too Much Sun at the Vineyard Theatre. She is a two-time Golden Globe winner for her role as Alice on the 9-year hit TV series Alice on CBS, and she co-starred with Sean Hayes in the NBC Series Sean Saves the World. Lavin has also recently guest starred on MOM and The Good Wife. She appeared with Robert De Niro in Nancy Meyer's The Intern. Recent feature films include A Short History of Decay, Manhattan Nocturne with Adrien Brody, and the upcoming, How to Be A Latin Lover opposite Rob Lowe and Eugenio Derbez. Born in Portland, Maineshe is a graduate of the College of William & Mary, which recently conferred on her an honorary Doctor of Arts degree and where she endows a theater program. She performs her concert act with Billy Stritch, her music director, and her husband Steve Bakunas at the drums, and has released her first CD Possibilities, an album of jazz standards and show tunes. American Theater Hall of Fame inductee Patricia Birch (choreographer) has received two Emmy Awards, five Tony nominations, a Directors Guild nomination as well as Drama Desk, Billboard, Barrymore, Fred Astare and MTV awards for her work across all media. She created the choreography for the original productions of You're a Good Man Charlie Brown, The Me Nobody Knows, Grease, A Little Night Music, Diamond Studs, Gilda Radner: Live from New York, Zoot Suit, Rosa, The Cradle Will Rock, The Happy End, Parade, and Lovemusik, as well as New York City Opera’s production of Street Scene, the Harold Prince version of Candide, and Chicago Lyric Opera’s production of William Bolcom and Robert Altman’s A Wedding. Her work as a director includes I Sent a Letter to My Love; Really Rosie; Raggedy Ann; Elvis; The Mass; Band in Berlin; The Snow Queen; Lawyers, Lovers and Lunatics; Orphan Train; and collaborations with the San Francisco Symphony on The Tomashefsky Project, Le Rossignol, and a double bill of Of Thee I Sing/Let 'Em Eat Cake. She has choreographed dance sequences for the films Grease, Grease II, First Wives Club, The Wild Party, Roseland, Big, Awakenings, Working Girl, Stella, Billy Bathgate, The Human Stain and others. Her work on television includes Natalie Cole, Unforgettable; Celebrating Gershwin; Dance in America; and six seasons of choreographing Gilda Radner, Steve Martin, Bill Murray and their contemporaries on Saturday Night Live. She has choreographed videos for singers including Cyndi Lauper, the Rolling Stones and Carly Simon.